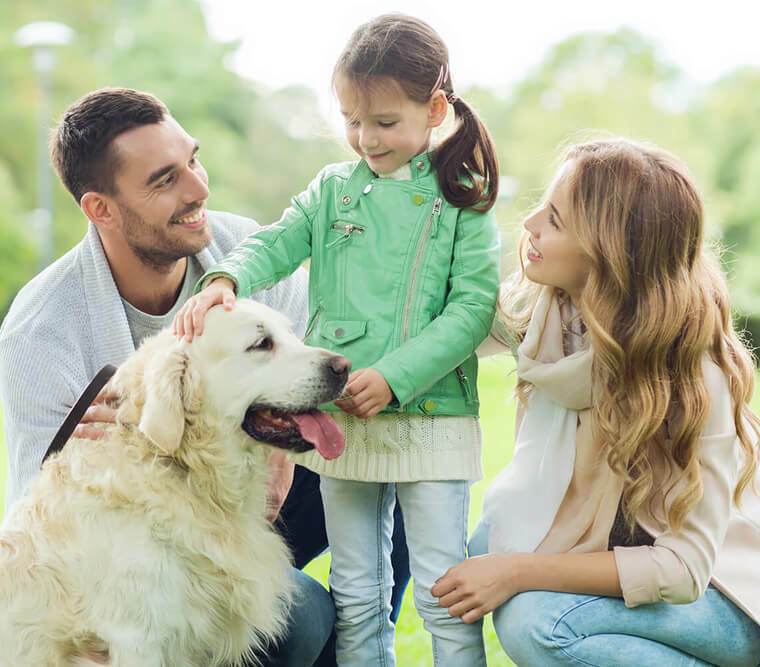 We push adoption so hard as the perfect choice for getting a new dog, that it’s not surprising if adopters have high expectations of what their new dog will be like. Your adopted dog can fulfill your expectations, but as with all things, not without some effort on your part. It is unrealistic to expect your newly adopted dog to transition in to your family seamlessly and become the dog of your dreams overnight. Expect an adjustment period, and don’t expect it to be over quickly. Both your new dog and your family need to adjust to each other. On average, expect this adjustment period to last several weeks while you all get used to each other. The most important thing to remember, is that your new dog has had a lot of upheaval in his life, no matter how long he was at the shelter. He’s going to have to work hard to feel at home with you, and he will likely make a lot of mistakes. Even if your dog has been housetrained before, don’t be shocked if he suddenly “forgets” his training. In most shelters, there are simply not enough volunteers to take the dogs for walks all the time and most dogs just get used to eliminating in their individual kennels. And a habit, once formed, is very hard to break. You’ll probably need to work on remedial housetraining for a while after you bring your dog home. This is a big one. Every home has different rules, and a shelter has no opportunities. Your dog has gone from comfy living (or not, depending on his origin), to a place with very few comforts (the shelter), to your home, which probably seems like paradise after the shelter. He’s not going to know what to do, or not do. Dogs are also famous opportunists. Even if he’s never sat on a sofa before coming to live with you, he’ll probably try anyway, just to see if you’ll let him. The same goes for begging for food, or sleeping on the bed. Don’t punish him for trying, but give him a firm “no” or “off” and lead him to the floor so you can establish that such places are “no dogs allowed” zones right at the start. In addition to rules the dog has to follow, you’re also going to have to establish rules and boundaries for your family to follow. This is especially important if you have children of any age living in the home. • Don’t pester the dog while he’s eating. Not because he’s food protective (although he might be), but because everybody deserves to eat in peace. • Don’t pester the dog while he’s sleeping. For the same reason as above. • Somebody has to feed the dog (or everybody takes turns feeding him). Make a schedule if over-feeding is a possible concern. • Designate somebody to clean up after the dog. • Everybody takes part in the dog’s training. This way your dog will come to obey everybody as equally as possible. Your dog needs a “safe” place. It can be his crate if he has one, a bedroom, or even a corner in an out-of-the-way place where he can escape to. It must be kept safe for him, and when he is in it, he should be left completely alone. A dog with nowhere to run is an unhappy dog.